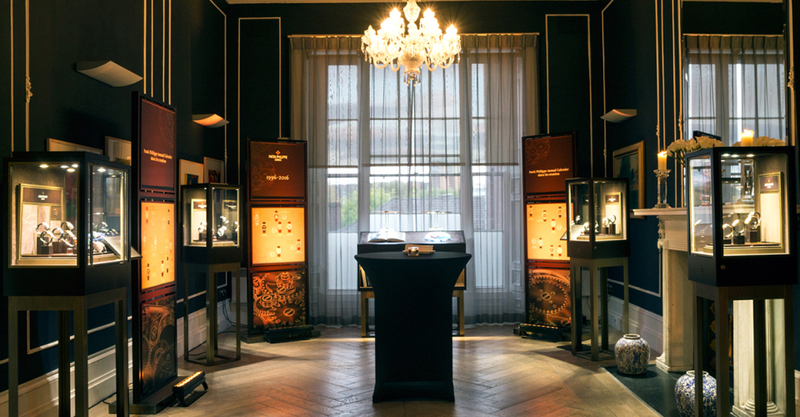 As October neared its end and thoughts begin to turn towards festive preparations, Weir and Sons were delighted to welcome Patek Philippe to Dublin as they introduced a selection of their 2016 novelties in a private joint event, for an enjoyable evening featuring exceptional Patek Philippe timepieces and the fine hospitality and surroundings of No.25 Fitzwilliam Place. In the relaxed city centre surroundings our guests were able to take their time in appreciating all that is new from the grandest of all watch marques, and on hand to provide expert one-on-one guidance was Patek Philippe’s UK Managing Director, Mr Mark Hearn and his eminently knowledgeable colleagues. 2016 has been an important year for Patek Philippe as it has celebrated the anniversaries of two of its iconic models. At Baselworld this year the company marked the twentieth anniversary of the company’s best selling complications piece, the Annual Calendar, with a pair of stunning new 20th Anniversary Reference 5396 models, which were on view at our event. Combining what many would consider to be watchmaking’s most essential functions, the Reference 5396 features twin day and month windows and shared 24-hour and moonphase register with date aperture. Available in white gold, with anthracite sunburst dial, or rose gold with opaline dial, the 2016 editions are elegant and refined. Also celebrating was the Nautillus which is now forty years old. Back in 1976 the sporty Nautillus was received with a mixture of surprise and not a little consternation among aficionados, because of its contemporary styling and stainless steel case and bracelet, which was considered by some purists to be at odds with the marque’s traditionally classical signature. But in hiring designer Gérald Genta to create a luxury watch for the active, outdoor type was a masterstroke, and the new model served to broaden the appeal in a new and important sector, and in so doing the birth of a watch, which forty years later, remains one of the most popular collections in the Patek Philippe portfolio. It might seem surprising, but in all, more than thirty different references have been introduced throughout 2016, and these were present for a very personal viewing experience during the exhibition. To the collector this was a breathtaking assembly from the world’s finest watchmaking company, and it is hard to settle on a highlight. In terms of the most technically complex, the Grandes Complications, the 5374 P Minute Repeater Perpetual Calendar in platinum and the 6104 Celestial in rose gold are peerless, but it’s the purity of the aesthetics of the 5539 Minute Repeater in platinum, and the deep blue glaze of its fired enamel dial which keeps me returning to admire it. All very different to one another, in terms of what they have been mechanically programmed to do, they are master class showcases for some of watchmaking’s greatest challenges. No less impressive were the new 5327 Perpetual Calendar models in the choice of three shades of gold, and in particular a platinum version, ref. 5140P with its sunburst charcoal grey dial which, possibly because of its eyecatching interaction with the light in the room, stands out among them. 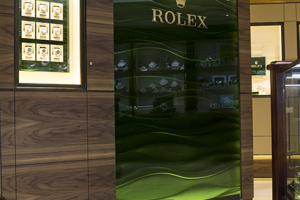 Yet around the room, every cabinet is populated with watches which individually are noteworthy on their own. Look into any dial and you’ll see exquisite detailing, and the exceptional workmanship of a group of people who are masters in their different skills. There really is no such thing as an ‘ordinary’ Patek Philippe, and each piece has a presence that only come from the constant motivation of perfection, a presence that cannot be imitated. As Mr Hearn observed, Patek Philippe is quite unlike most other luxury brands, as no one model defines or dominates the company’s image, that the point of entry for different clients can be via a watch in the classic tradition, or through the sporty practicality of the Nautillus or Aquanaut. But regardless of how a client begins his or her relationship with the brand, the unifying factor across all of its collections is the legacy of uncompromising excellence, which does define Patek Philippe. We would like to thank Mr Mark Hearn and Patek Philippe for their cooperation, No.25 Fitzwilliam Place for the ambience and superb service, and of course all of our guests, without whom what was another enjoyable, successful and memorable evening would not have been possible. Our thanks to Johnny McElherron for writing this article.